Why Aren't Gyms in Reno Talking About Fasted Cardio? This is something gyms in Reno may not be talking about: fasted cardio. What is fasted cardio and does it work? Bodybuilding.com asks this same question, but the answers are fairly simple. Fasted cardio is just that – cardiovascular exercises performed while fasting or without a significant amount of food energy. 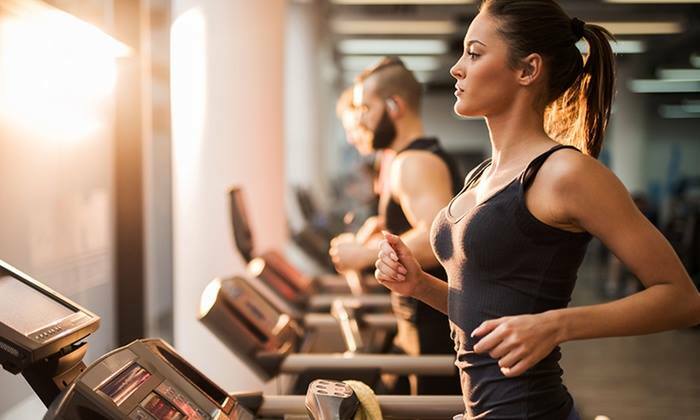 Frequently people perform fasted cardio workouts on an empty stomach in the hopes that without an energy store, their bodies will use the fat reserves as opposed to a carb store for energy, thus burning more fat. But does this type of exercise actually work? While this trend seems to be gaining speed in popularity, the big question is whether you should skip your pre-workout snack or not? The bad news or good news depending on how you look at it is that there is no such thing as a “one size fits all” approach to nutrition when it comes to getting the fuel you need for your cardio workout. Traditional sports nutrition guidelines suggest that you should eat a snack loaded with carbs before your workout. However, recent research has shown that there may indeed be some benefit to skipping that pre-workout snack before you go for a run. Some athletes believe that training when they have minimal or limited glycogen stored in their bodies can lead to greater endurance for long-distance running. According to Rikki Keen MS, RD, when you place your muscles in a stressful state with low glycogen levels during cardio training, the body releases a mass of hormones that enhance training effects. Since essential carbs are not readily available, your body undergoes a metabolic shift and begins to burn fat instead. This allows your muscles to perform for a longer period before finally crashing. One important thing to keep in mind is that even if you do choose to fast before engaging in cardio exercises: don’t expect immediate results. The metabolic changes fasting causes are more likely to affect your long term performance. If your goal is to gain muscle strength, fasting before you exercise is not your best option. Instead, you need to eat a meal or snack that is heavy in carbs and proteins. This will supply your body with the energy it needs to complete a workout. Additionally, the amino acids in the proteins help to increase your levels of lean muscle mass. The principle applies to high-intensity interval training. Here, your body needs plenty of fuel from carbs in order for it to perform at it’s maximum level. Therefore, you need to eat a nutritionally balanced snack or meal before you go to the gym for a workout. This is all essential advice that gyms in Reno may not be giving you! This being said, if all you have in mind is a light to moderate cardio workout and you have eaten a meal within the last 3 to 4 hours, you can get away with fasting before you hit the gym. However, it is essential that you eat afterward to refuel your body. Many gyms in Reno, like Flex Appeal, offer free trial memberships. Check us out and stop by today. We’re here to help you achieve your fitness goals!